I've been blogging for just over a year now and thought it was about time I upgraded Wag Doll with a few nifty extras, which I'm going to share with you as I make the changes. 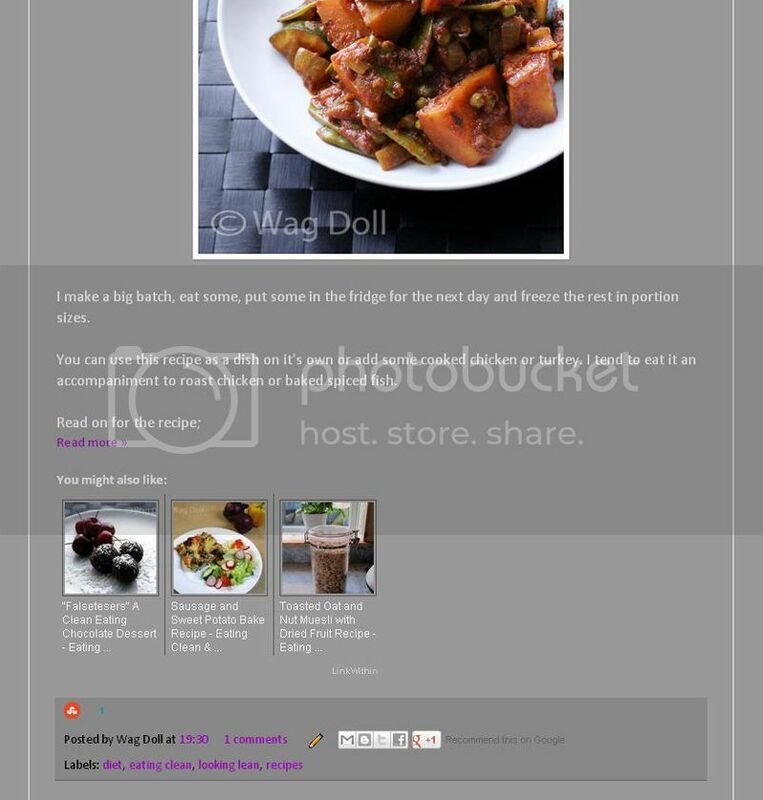 One thing I've always admired on other blogs are the suggested 'You may also like" images at the bottom of a blog post. These help to keep your older content in the public eye, and suggest to your lovely visitors some other posts they might find useful, encouraging them to stay around. 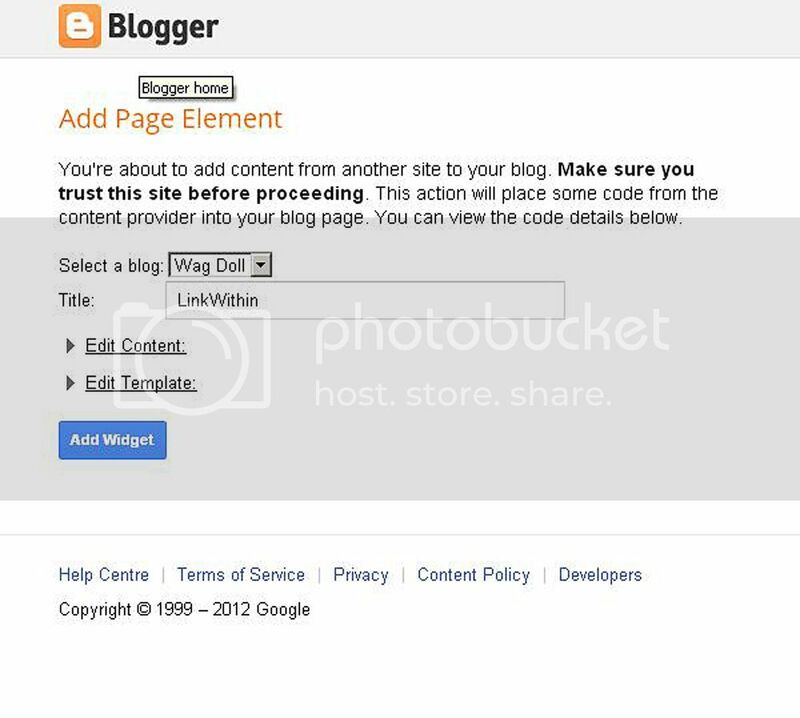 The widget is powered by LinkWithin and they will generate all the code you need to add this element to your blog...thanks guys! Go to the LinkWithin web page. Your blog address. Use your original blog address here instead of a domain name you may have set up. So I needed to enter www.wagdoll.blogspot.co.uk instead of www.wagdoll.co.uk .If you can't remember your original blog address like me (oops! )...it will be listed on your Blogger 'settings' page. Platform: From the drop down menu select Blogger. Choose the number of images you want to appear, the default is 3. Just be careful if you choose more that the images will fit across the width of your blog. Click "Get Widget!" and you're nearly there! 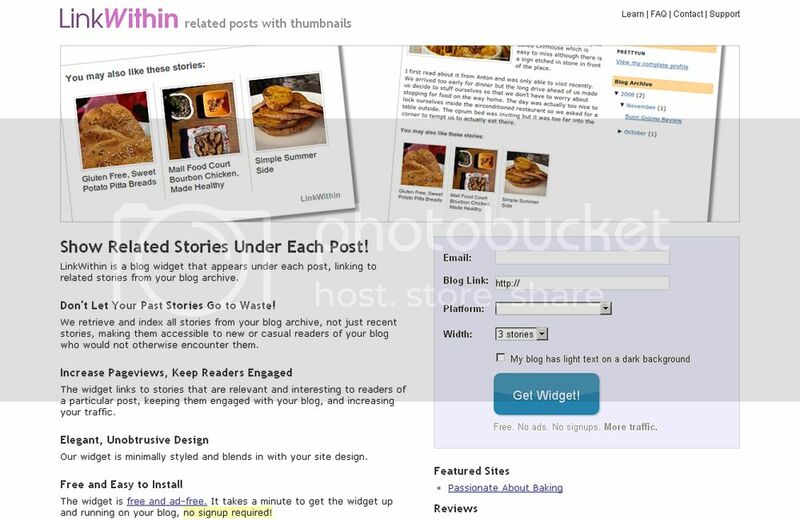 Click 'Add Widget' and you will automatically be taken to your blog layout page. The LinkWithin widget will be the first widget on the left hand side, you can leave it here if you wish. But if you want the images to appear at the foot of your posts then drag the widget into place. Click save, and view your blog! Here's my recent Veg Curry post with some suggested links at the bottom, love it! Using a special blend of internet magic the LinkWithin widget will select relevant posts to show. Clever eh? Please let me know if you found this guide useful, and if you'd like to see more in the future, like my recent post "The Easiest Way To Add Social Media Buttons To You Blog". I'm not a tech expert by any means, I just fumble along and love learning new things. For me blogging is a way of sharing the hobbies and activities I love, the technical side does not come easy, as I'm sure is the same for many of us. That's why I'll be keeping the tips super easy. I'll be limiting my info to Blogger as that's the only platform I've used, Wordpress scares the life out of me! These 'How to' posts will also serve as a reminder to myself on how I did something. I've made changes to my blog over the past year and not made any notes, now I look back and think "How the heck did I do that?" Yep, see above where I didn't make a note of my original blog address.....Ooops... anybody else as daft as me? Thank you this was extremely useful to me and I have added this widget to my blog. It's a cookery blog but I have just noticed on the last couple of entries that the things it had linked are not really relevant and also they do keep changing on other posts. Is this right? Thank you Sally, glad it was useful! I think the widget chooses the posts depending on how you tag them and title them, you might be best asking LinkWithin directly if you want to have accurate linkings (if that's possible). It seems to match mine quite well....but then occasionally throws in a really random one LOL! Thats fine, most have been appropriate links, and it doesn't really matter if they are just random. It's just a good way of highlighting old recipes. Thanks for your advice and I'll be having a look through your blog. Thank you!!!!!! I did it! Wouldn't have even thought of it if you hadn't posted you great instructions on your Blog!!! Thank you for your lovely comment Sister Brute and glad it worked for you!